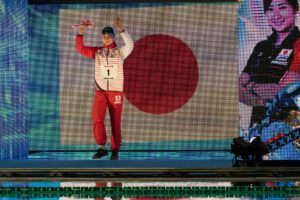 Rikako Ikee of Japan kept her perfect run at the 2018 Asian Games intact in the women’s 100 butterfly, winning gold in a new Games Record of 56.30. 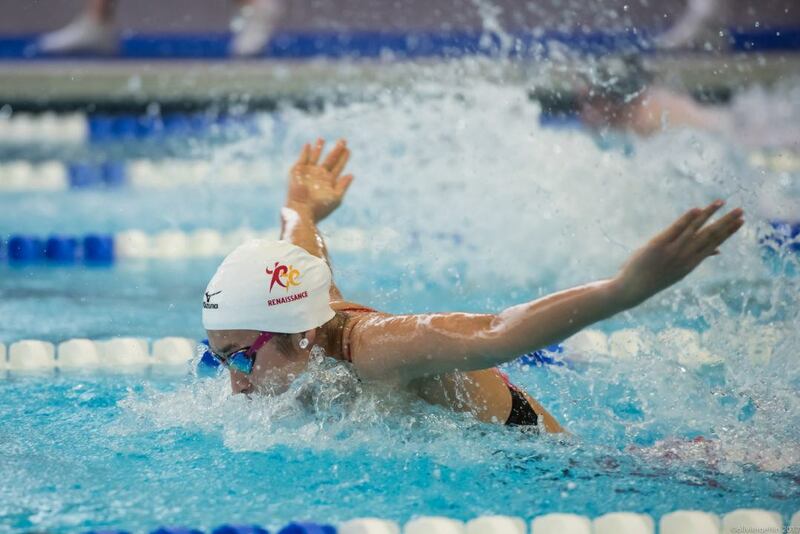 That swim lowers the previous record of 56.61, set by China’s Chen Xinyi four years ago in Incheon. In comparing the two record swims, the difference for Ikee came on the opening 50, where she was nearly three-tenths quicker than Chen. They were nearly identical coming home. 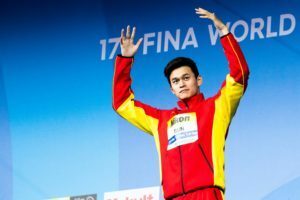 Ikee, who set the Japanese Record recently at the Pan Pacific Championships in 56.08, is now a perfect 4-for-4 in both gold medals and meet records so far at the competition. She won gold in the 400 free relay on night 1, breaking the Games Record both on the lead-off and in the overall time, and then she took two more down on night 2 with wins in the 50 fly and 100 free. She’ll seek a fifth title to close out this session in the women’s 800 free relay. Despite not improving her season-best here, Ikee will exit the 2017-18 season as the fastest woman in the world, as her 56.08 from Tokyo took out world record holder Sarah Sjostrom‘s 56.23 from the European Championships. 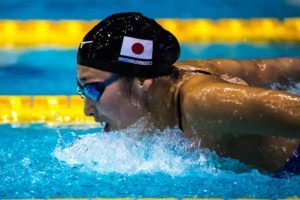 Prior to Pan Pacs, Ikee was tied with the Swede atop the rankings as she had been 56.23 at the Mare Nostrum stop in Monaco. She could have been a tenth or two faster without that glide at the finish. This is after swimming at Pan Pacs too. Props to holding that taper. Ikee has showed incredible consistency throughout the whole season. Really remarkable how she’s improved in the shorter distances (50 fly and free) and also a massive chunk of time in the 200 free. And in the midst, best time in the World in the 100 fly, nearly dipping under the 56″ barrier.